Keith Burtis gave a great presentation at PodCamp Toronto last weekend. It’s especially engaging when the entire room gets involved and Keith let the discussion run wild. It was fantastic! I love Keith’s story too. Eighteen months ago he was working in a warehouse and now he is helping others around the world embrace social media. Keith compared traditional business models (the funnel) to social media models (the hour glass). Traditional business shoves as many through the pipe on the hopes to be left with a handful of paying customers. While in social media, you may start with a larger group of people but each one represents the chance to develop a deeper personal relationship. The funnel starts with a large group and ends with a small group. 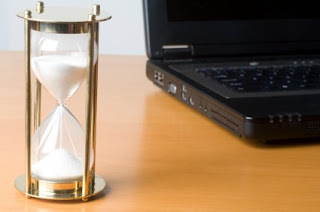 But the hourglass starts with a large group, develops into small one-on-one connections with people who have their own network, and can result in a larger group. It was amazing how much chatter ensued after getting back to the office. There were people who reached out to say they wish we had had a conversation at PodCamp and I did the same. Perhaps you experienced this as well. I have started applying Keith’s suggestion even more to develop stronger one-on-one connections past the follower/friend relationship. After all, we are all just people. Extend a hand or an email, perhaps a call or even a meeting and break through traditional circles. Proximity is the single biggest way to meet people: you work together, you’re in the same industry, you are blood related, or you know someone who knows someone. But with social media you can meet people from all walks of life, all over the world, and expand not only your scope of relationships but your knowledge base. Hop into the conversation. Dig a little deeper. See if you can learn more about someone. What do you have to lose except the chance to meet someone you otherwise would never would have met?